Summer is here, and so are the days of oily and sweaty skin. Before you step in the long and tiring sunny days, you should consider how those extra hours in extreme heat and sunlight can affect your skin mercilessly. The hard UV rays tend to fasten the signs of ageing, you will start to notice age-spots, pre-mature wrinkles and sagging of skin in no time. Other than just affecting your skin with sunburn, the horrifying humidity can lead to skin issues like pimples, acne and itchy rashes due to excessive oil. We need you to take care of your glowing skin even on the hottest summer days just by following a simple yet effective skin-care regime. So, are you ready? We all have heard this from our mothers, that drinking lots of water in a day is as important as eating meals. 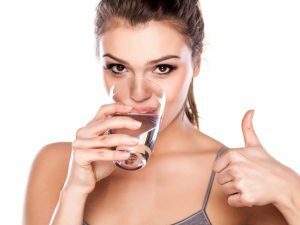 Drinking a lot of water not only helps you lead a healthy life but keeps both your body and skin hydrated even on the days with highest temperatures. We suggest you drink a minimum of 12 glasses every day in order to maintain your skin healthy and glowing even on the longest and hottest summer days. Daytime moisturisation is as important as taking bath every day, and do not forget that your summer moisturiser is nothing without a decent amount of SPF protection. Summers lead to loads of oil and sweat especially on the face, so we suggest you all go for a lightweight moisturising formula so that it absorbs swiftly and doesn’t mix with all the oil and sweat keeping your skin fresh and glowing. 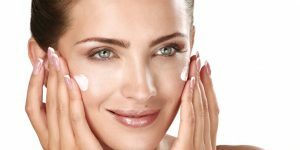 We know how much you want your skin to be protected from the unwanted UV rays, and that is why we suggest you use any lightweight daytime moisturiser containing a broad spectrum of SPF protection. Scrubbing regularly (twice or thrice a week) helps your skin breathe and exfoliate. It takes less than 10 minutes to follow a scrubbing routine, and we recommend it strictly in summers because our skin faces harmful UV rays making it look dead and pale. Scrubbing is one simple formula if applied regularly, which can keep our skin from getting tanned and burnt even after spending those extra hours under sunlight causing heatwave. 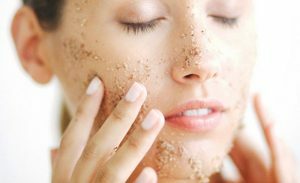 All you have to do is, take a mild scrubber, rub it on your face in the circular motion or uplifting your skin for 5-7 minutes, and rub it off, leaving your skin exfoliated from all the pollution, heat and dirt. Scrubbing is good for our hands and foot too, as they are equally exposed during summers. Once in the morning, and then after coming home from work, if you cleanse your face twice a day with a mild foaming or gel facewash then your skin remains healthy and glowing even on the worst summer days. It is simple, doable and does not consume much time. We strictly suggest you opt for a mild face wash, as the stronger ones tend to make your skin extremely dry and itchy. Once you start to develop this super-beneficial habit of cleansing twice a day in summers, we guarantee you healthy and glowing skin even in the most unexpectedly humid days. After washing off with a mild cleanser, do not forget to moisturise your skin before going to bed. Replenish your skin with an intense amount of moisturiser at night, this will help your skin to rejuvenate and relax while you are sleeping. We would highly recommend a face cream formulated with a decent percentage of Aloe Vera gel in it, as it can distribute a much-required amount of moisture to skin that has been exposed to the sun in frightening heat. We promise you, if you follow these simple yet effective skin-care techniques, then your skin will be healthy, hydrated and glowing all summer, irrespective of the heat and harmful UV rays you are exposed to. For queries, you can leave your comment in the section below. Happy reading! This was really very helpful, especially when my skin acts so weird in summers. I never wondered SPF was this important, definitely using it regularly from now on.